It’s the final countdown: 32 hours left for Noirlandia’s Kickstarter! 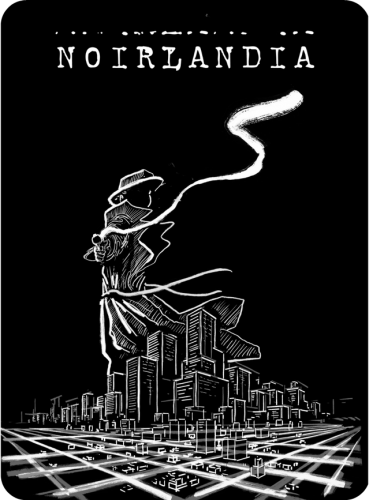 As of writing this blog post, Noirlandia has 677 backers on Kickstarter. (Whoops, make that 678!) We’re simply blown away by the support and enthusiasm our friends and the larger indie gaming community have shown for our creation. There’s 32 hours left to go for Noirlandia’s Kickstarter, and we just got past our stretch goal to include amazing casebooks with every level that gets a physical copy of Noirlandia. Now, we’re on to our final stretch goal: at $22,500, we’ll produce these amazing custom Noirlandia playing cards for the Private Eye ($75) level and above. While we’d love to create these playing cards, our main goal is get Noirlandia into the hands of as many people as possible. We’d deeply appreciate it if you helped us spread the word to anyone you think would like the game, as well as on your social media platforms of choice. We can’t wait to share the final product with you, and hear all about the mysterious cities and murder mysteries you dream up. Thank you so much once again.